So what are the citizens of Guelph doing, or not doing, that the rest of Canada could benefit from? A bed bug dog inspected nine of the city’s branch libraries and alerted at each one. Physical evidence of bed bugs was discovered in only one of the locations. The remaining 16 branches have yet to be inspected. On the plus side, the library has established a clear and transparent reporting venue on their website to keep the public informed of their policies and protocols, including the latest results from the bed bug sniffer dog inspections; kudos to Hamilton Public Library. It is no wonder the City Councillors are asking the province to make the one-time funding grant of $234,254 received last year to battle bed bugs be made a permanent annual contribution. Last year’s allotment had $74,254 to an awareness campaign in newspapers, malls, bus shelters and a flyer in the property tax notices; the remaining $160,000 was directed to vulnerable residents for bedding encasements, monitors, traps and assistance to prepare their residences for treatment. Bed bugs appear to be gaining ground here, as another story hit the wires for Sunder Green, 230 Clapperton Rd, with seven units infested. Most tenants are on low incomes or disability and preparations for repeat treatments taxes their capacity financially and physically. Remember: the clothes dryer is your best friend to kill bed bugs and their eggs and spending coin on washing the items is not necessary unless the item is soiled of course. On the upside, Mary Doonan Community and Family Services Director, Salvation Army, will provide furniture vouchers for their thrift store for those that have discarded their furniture in an effort to control these pests. Caution: furniture, unless soiled beyond repair, need not be discarded as there are viable treatment options. If you chose to discard furniture, please do so in a responsible manner by wrapping the item securely in plastic and clearly marking it as bed bug infested. July 1 is considered ‘moving day’ in Montreal; the day when many leases expire in the province and new ones begin. Some jokingly refer to it as ‘bedbug transmission day’. In an effort to stop the transference of bedbugs, the city has made available 2,000 large plastic bags to encase mattresses during transportation. As Montreal requires extermination companies to report bed bug infestations, the registry records 2,800 in 2011; while a public health survey for the same year reported 23,000 infested homes. Looks like those 2,000 plastic mattress bags are not going to be anywhere near enough. Bed bug complaints to the media, the health unit and local politicians led to the closing of the Victorious Living Centre (VLC) homeless shelter in late June. “Lack of funds, lack of finances, lack of support” is the explanation by Rev. Randy Kennedy. The VLC received a letter from the city directing the ministry to handle the current bed bug infestation at the shelter-after the health unit had inspected the premises. Shortly thereafter, VLC decided to close the shelter while they review all its services. With 33 confirmed cases last year and 23 confirmed infestations to date for 2012, it can be said bed bugs are on the move in Sudbury. Environmental Health Manager for the Sudbury and District Health Unit, Burgess Hawkins, would not classify bed bugs as a big problem in Sudbury – yet. Chief Medical Officer of Health, Dr. David McKeown and Toronto’s Mayor Rob Ford have agreed to a $1 million strategy to continue the bed bug battle within the city; the city provides 25% with the province contributing the remaining 75%. 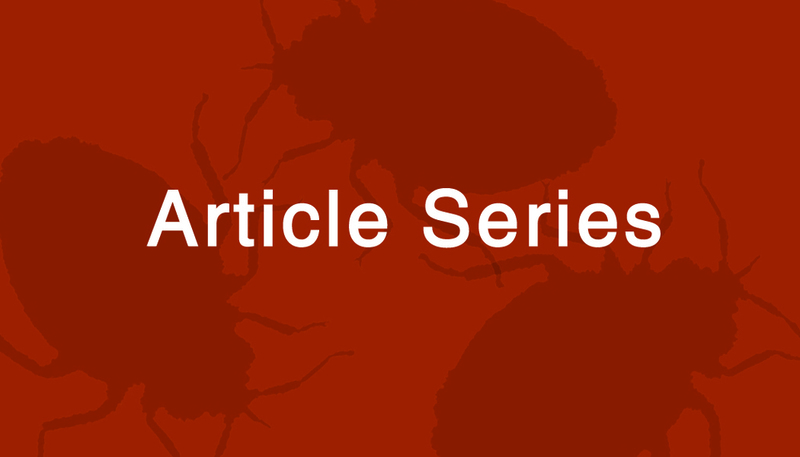 A general informational article from the Straight on how to deal with bed bugs, led off with news that the bed bug onslaught is growing in British Columbia as a whole and in the densely populated Lower Mainland in particular. The article calls for a broad strategy to tackle this growing menace, citing Ontario and Manitoba governments have opened their wallets to aid their citizens. Perhaps the governing BC Liberals are bitten by bigger problems at present. Posted on July 14, 2012 by Ken Hando and tagged Guelph Hamilton Kamloops Montreal Owen Sound Sudbury Toronto Vancouver bed bugs.